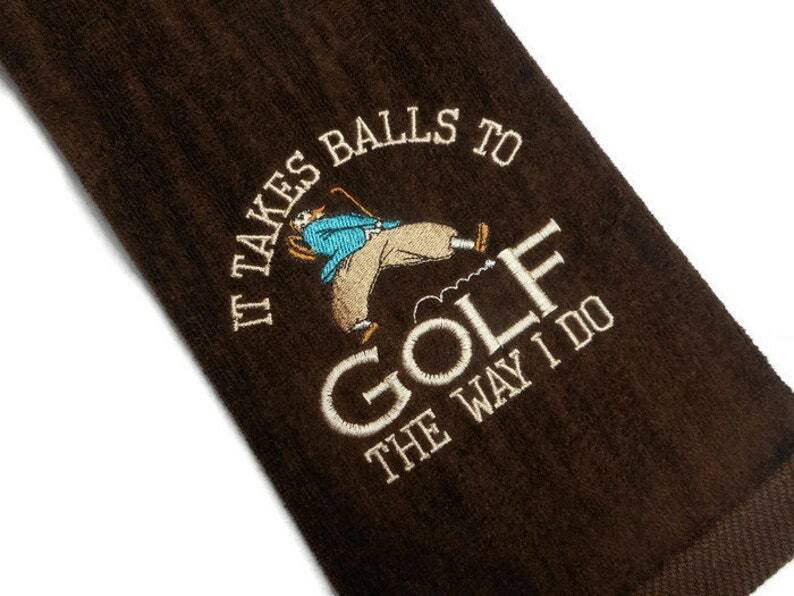 Funny golf towel gift for him. Premium quality golf towel made of 100% cotton with plush velour finish. There is a funny golfer with the saying, It takes balls to golf the way I do. Personalize for the perfect gift. The design measures approximately 4.5 X 4.25 inches, without a name added. This tri fold, 100% cotton terry, 2-ply yarn velour golf towel is shown here in chocolate brown.